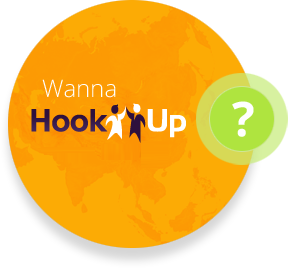 Because we’d like to Explore potential partnership with games developers, healthcare product and engineering system manufacturers. CR2-Haptic is  used to train the wrist movement of stroke patients in the virtual reality environment, where the patients can train themselves while playing games. The robot can assist the patient movement during the training enable the patients to train more frequent which is crucial for better recovery. MALAYSIAN startup TechCare Innovation Sdn Bhd hopes to take its rehabilitation robotics system from research to the marketplace with a pledge drive on pitchIN, the domestic equivalent of Kickstarter. The company’s Compact Rehabilitation Robot (CR2) is a series of robotics systems developed for rehabilitation training, or essentially as physiotherapy aids. TechCare itself is a spinoff company from UTM (Universiti Teknologi Malaysia), where the system is being developed. Its latest iteration, CR2-Haptic, is aimed at those who have suffered strokes, traumatic brain injuries or other neurological disorders resulting in hand and arm impairment. It is designed to train forearm, wrist and basic ‘activity of daily living’ (ADL) movements, according to TechCare Innovation. “For the past three years, we have been focusing on the research and development of the rehabilitation robot,” said Khor Kang Xiang, the core mechanical and electronics designer at TechCare Innovation. “However, we know that even with the best research outcome at the university, if we can’t deliver CR2-Haptic to market for patients to use it, it makes no difference because they would not be able benefit from the outcome at the end of the day. “Therefore, we hope to make this change and bring the research outcome to [more] patients by commercialising the product,” he told Digital News Asia (DNA) via email. CR2-Haptic is a portable and compact rehabilitation robot which can be used to train patients’ muscle functions while they play games. It allows patients to train at home by integrating tele-monitoring technology that enables therapists to monitor the patients' progress via the Internet. This feature also allows therapists and family members to easily analyse and review the progress of the patient, according to TechCare Innovation. Using robotics in stroke and similar rehabilitation is not new, with several other systems such as the In-Motion Arm and Reo-Go already in market, but which the Malaysian company says are too expensive and bulky for home use. The idea behind CR2 came to Dr Yeong Che Fai, currently a senior lecturer at UTM and lead researcher and marketing strategist at TechCare Innovation, when pursuing his PhD at the Imperial College in the United Kingdom back in 2006-2010. “I basically built a rehab robot which was tested in a UK hospital. The feedback was positive and encouraging from both physiotherapists and patients, but still had lots of room for improvement. “Thus, when I came back in 2010, I started research here, but focusing more on delivering a final product for patient use,” he told DNA. According to TechCare Innovation, one in six people in the world have a chance of getting a stroke in their lifetime. In Malaysia, 52,000 people suffer from a stroke every year, it said, citing reports in English dailies The Star and The New Straits Times. “I had always been under the impression that stroke only happens among the elderly, until a visit to one of the rehab centres in Malaysia,” said Khor. “During my visit (to a Nasam centre in the state of Melaka), I saw teenagers as young as me who had suffered from a stroke, and I could feel their pain … there was one young man who was actually dragging his leg along the way when he walked. “I only then realised that strokes could affect anyone of any age, at any time,” he added. As he went to the field to research the problem, he came across many patients in need of rehabilitation or physiotherapy. “However, due to the large number of patients and lack of therapists, most of the time, patients don’t have the chance to get enough rehabilitation training for a proper recovery. “Generally, they need to be discharged once they are mobile, as general hospitals need to handle more serious patients,” he said. Then Khor met Dr Yeong, who already had experience in the field of rehabilitation robotics, and realised he wanted to use his skills to develop something that could help the stroke community. “So, that's how I started to get involved with the team. From that, we started to build a rehabilitation robot with an aim to commercialising it one day so that patients can use it to improve their recovery,” Khor added. 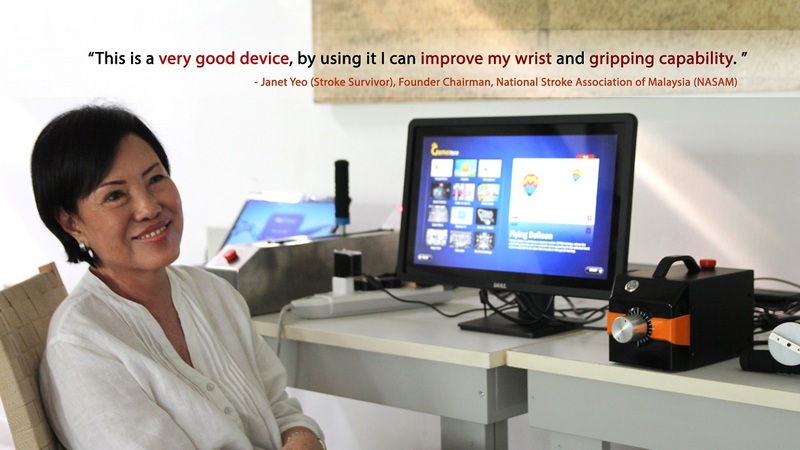 New device aids recovery for stroke victims. 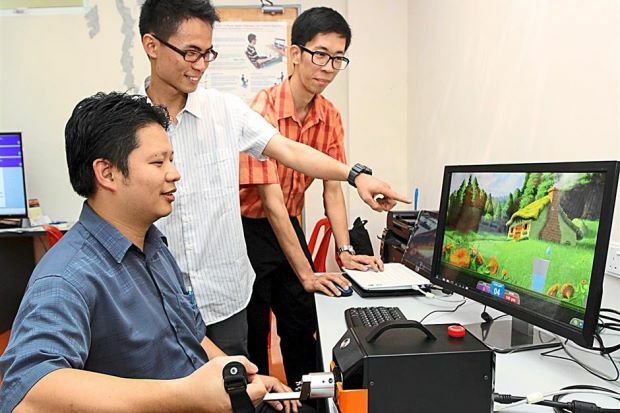 JOHOR BARU: A team from Universiti Teknologi Malaysia (UTM) have come up with a device that can aid patients who have suffered from a stroke, traumatic brain injuries or other neurological disorders to improve their hand and arm mobility unsupervised. Dr Yeong Che Fai, a senior UTM lecturer and a team of undergraduates invented the CR2-Haptic device, which comes with computer software that allows patients to engage in virtual games to help train their muscle movement. Yeong said that the device promotes active training of the forearm and wrist, as it can detect motion. “The CR2-Haptic is able to sense and automatically guide the patients if they are unable to move their hands themselves, while most other devices lack motion sensors,” he said during a press conference here on Wednesday. He added that the device was affordable, portable and compact and could be used to train muscle function while playing about six engaging and motivating virtual reality games. 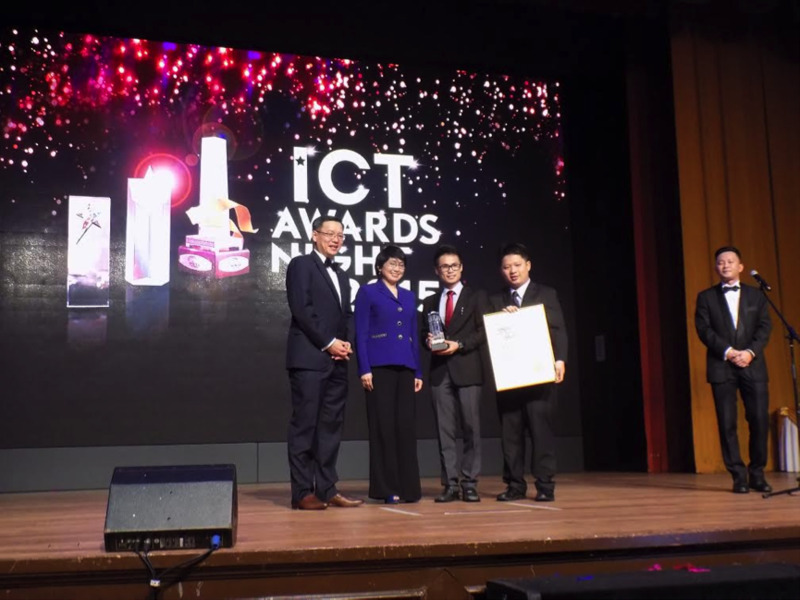 Yeong also said that the it took the team about three years and some RM200,000 in grants to conduct in-depth research, develop the product and come up with a functional prototype. “Now we are hoping to commercialise the device to governmental and private hospitals nationwide by early next year and later to the public,” he said adding that the cost of the device would be similar to those in the market. Yeong added that the CR2-Haptic was part of the team’s Compact Rehabilitation Robot (CR2) series of robotic system that were developed for effective rehabilitation training. “We have included the device in an online invention competition called MaGIC PitchIN Challenge and hope to gain enough support from the public so that our product can be supplied to those in need,” he said. Yeong said that other robotics system under the CR2 series include the CR2-Motion and CR2-Reaching to promote full body muscle movement and elbow and shoulder movement training respectively. “We are hoping to deliver the prototypes of the other two inventions to the National Stroke Association of Malaysia in July and target for commerlisation by end of next year,” he added.